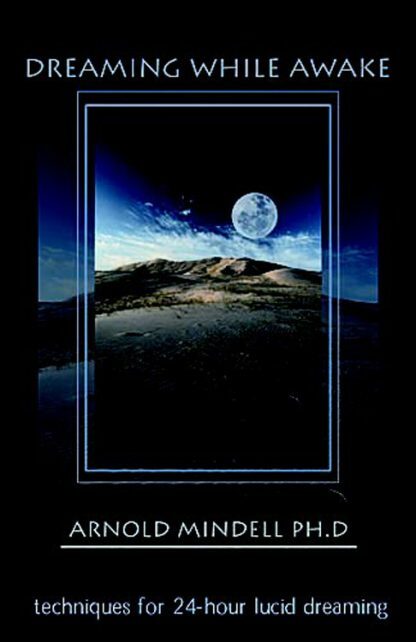 Red Wheel ∕ Weiser Online Bookstore | Dreaming While Awake: Techniques for 24-Hour Lucid Dreaming by Arnold Mindell, Ph.D.
What if you could dream 24 hours a day, even while awake? According to innovative psychotherapist Arnold Mindell, Ph.D., we already do. The seeds of dreaming arise in every moment of the day, in body symptoms, problems, relationships, subtile feelings, interactions, random thoughts, and fantasies. We're getting countless little cues from the unconscious every minute. All are signs from the world of dreaming. And, according to Mindell, we can be in this state of lucid dreaming all day long. In Dreaming While Awake, Mindell shows how to become aware of these "flirts" from the dreamworld and how to interpret their message. The goal, he says, is to be wide awake and lucid 24 hours a day in the midst of this unending dreamfield of information. Dreaming is the mystical source of reality, says Mindell. "My goal is to make the Dreaming roots of reality so accessible, so visceral, that your conscious mind will give you back your right to dream." A graduate of MIT and the Jung Institute of Zurich, Switzerland, Arnold Mindell, Ph.D., is the founder of a new school of therapy called Process Oriented Psychology. Dr. Mindell is known throughout the world for his innovative synthesis of dreams and bodywork, Jungian therapy and group process, consciousness, shamanism, quantum physics, and small and large group conflict resolution. He is the author of 13 other books, including Dreambody, Coma: Key to Awakening, Inner Dreambodywork, The Leader as Martial Artist, The Shaman's Body, Sitting in the Fire, and Quantum Mind.